View of full card in seal packaging. 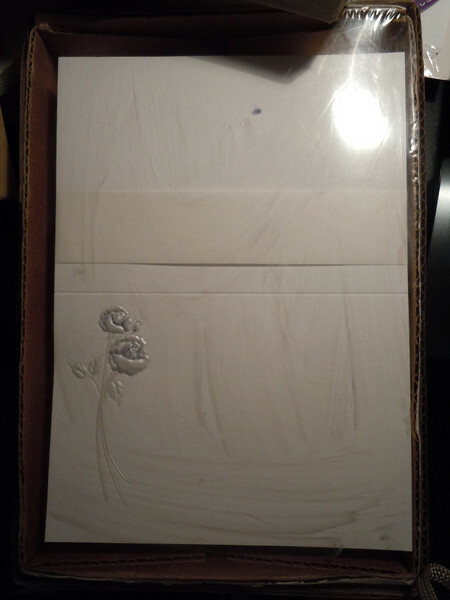 White note cards with 3 3/8"x4 7/8" when folded. White envelopes included. Blue/silver dual rose debossed and metallic on front of card.